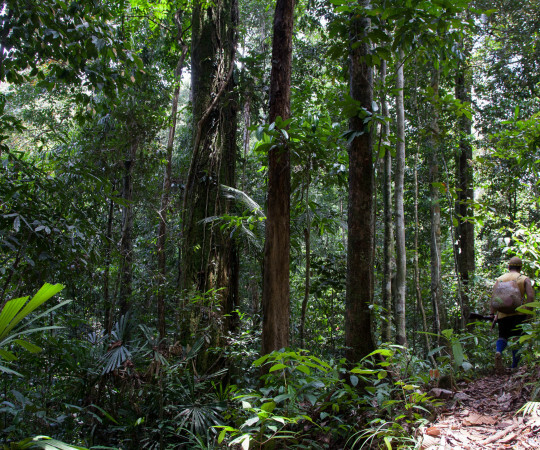 EXPLORING THE HEART OF BORNEO BY MOUNTAIN BIKE TO DOCUMENT THE EFFECTS OF DEFORESTION. 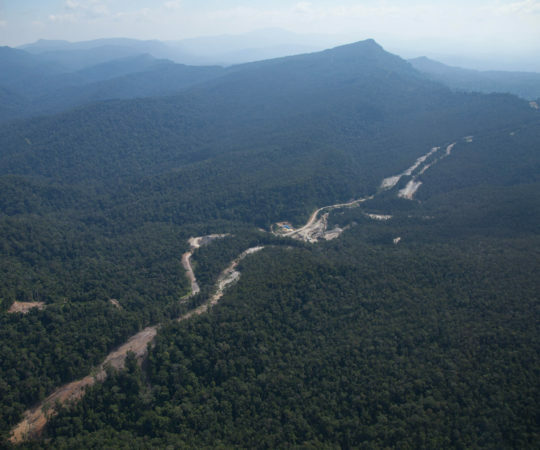 Exploring the network of logging roads in the Heart of Borneo, by mountain bike, to document the causes and impact of deforestation on the people and environment. 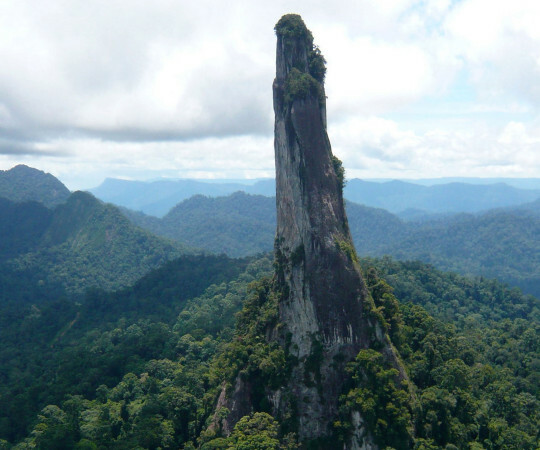 For more than seven years I’ve been planning an expedition to a remote and quite incredible limestone pinnacle in Central Kalimantan. I’ve dubbed this the Sandukui Pinnacle expedition, but so far I have been unable to conduct a successful recce. 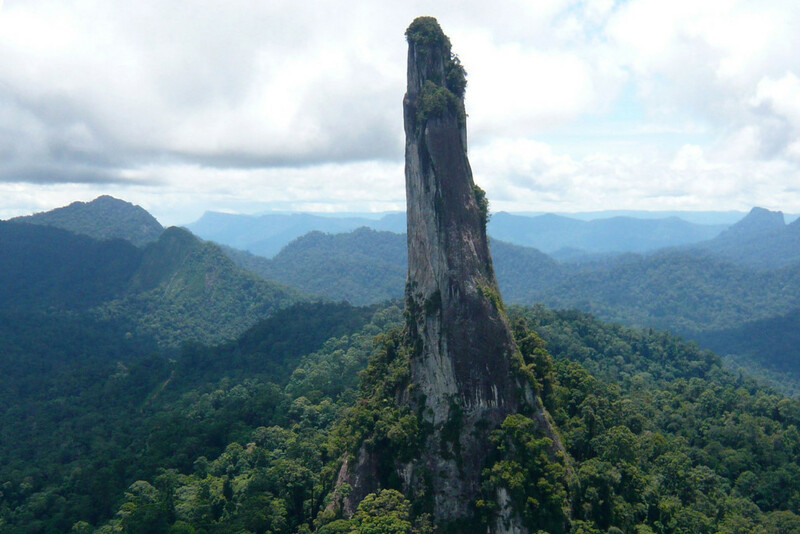 I’ve been dreaming of climbing the pinnacle since I first saw it in the distance during an aerial recce for the Murung Raya Expedition. It has captivated me, but it’s proven very difficult to get to. In 2015 I tried and failed to get close to it by driving along old logging roads in a massive 4×4. The roads were simply too beat up. We only made it half way. This year it struck me that my best shot would be to use mountain bikes to navigate these old logging roads that penetrate so deep into the Heart of Borneo. If the roads are too bad, or I have to cross rivers, I’ll be able to pick up my bike and walk, or build rafts. I had considered motorbikes, but I figured a mountain bike would be more likely to get me there eventually, and in one piece. Me looking tense as we make slow, and eventually no progress by jeep. If you know me at all, you’ll know that my ideas quickly grow as I see opportunities to pack in additional objectives and create as much impact as possible from each endeavour. Once I started mulling this idea over, I realised the potential to turn this recce into a serious expedition in its own right, and so the Broken Roads of Borneo expedition was born. I’ve wanted to tell the story of the Heart of Borneo in my own words for some time now, and I think this journey will allow me to do so. 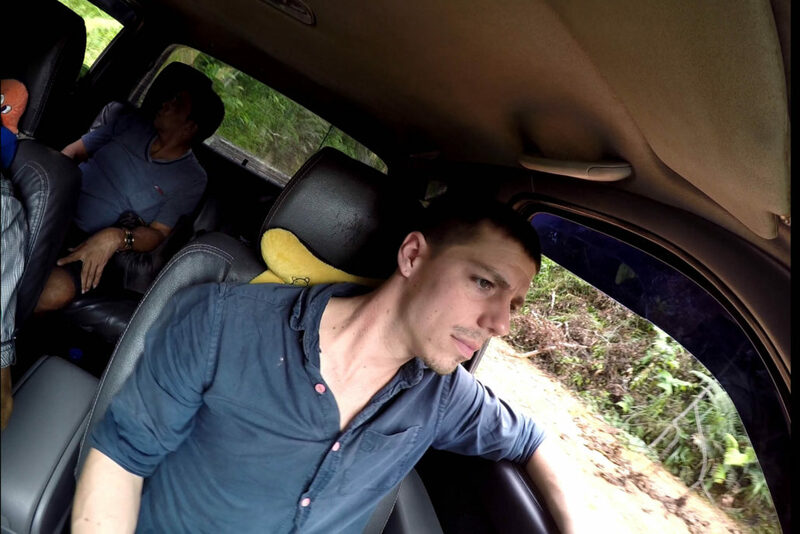 I’ll be travelling, slowly, overland, from Palangkaraya, heading roughly north, trying to reach a village called Tumbang Tohan – the most remote village in this area and the jumping off point of many of my previous expeditions. 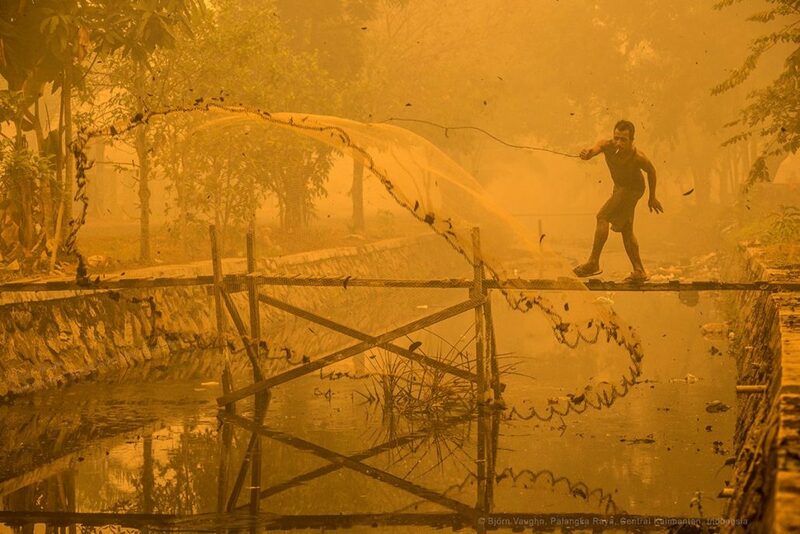 Palangkaraya is an almost treeless city that was at the heart of the forest fire hell of 2015-16 which threatened to completely engulf the Sabangau National Park on its doorstep. It is home to many NGOs fighting to protect the environment and the rights of indigenous people, not to mention the site of a orangutan rescue and rehabilitation program. It is a perfect place to begin exploring the current state of the environment on this unique island. I’ll spend 2-3 weeks bikepacking the system of logging roads as my journey takes me deep into the rainforest. These roads are horrendous, especially during the wet season which is when I plan to conduct this expedition. But they are roads nonetheless. The final destination, the village of Tumbang Masukih, is not somewhere I have been before, but is likely to be the polar opposite of Palangkaraya, where I will begin. 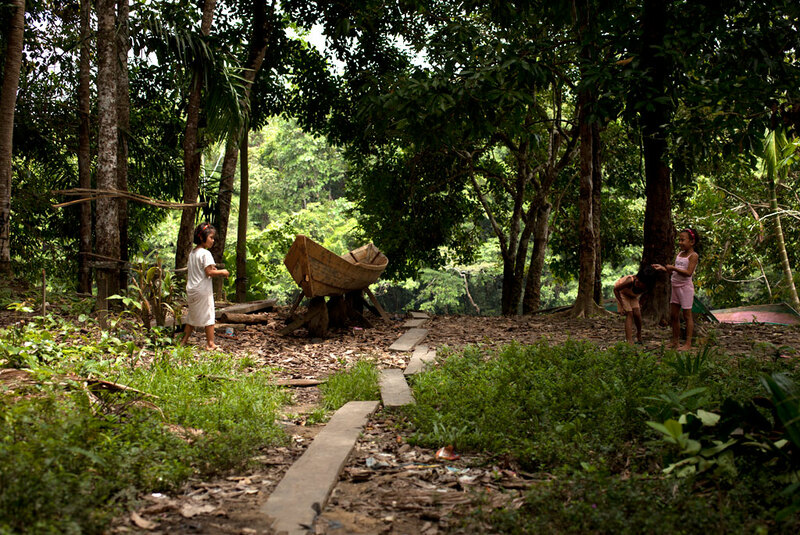 An isolated Dayak village, caught between the old ways of subsistence life and the new globalised cash economy. Along the way I’ll logging camps, artisanal gold mines, and maybe even a coal mine or two, as well as villages both old and new, and forest both pristine and degraded. My hope is that the chosen method of travel will make an already inviting and generous people even more willing to talk to me and share their stories and opinions. 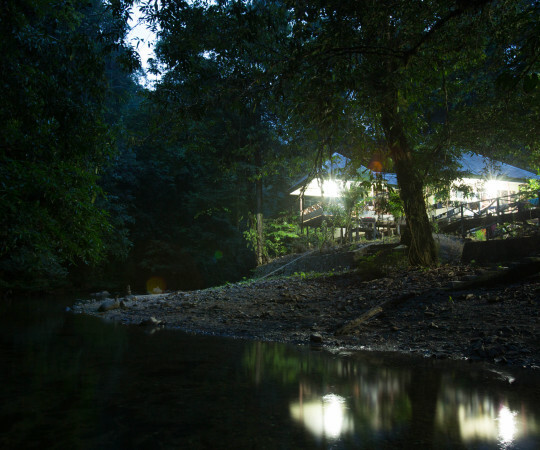 Together with the story of our journey, these encounters will help us tell the story of the Heart of Borneo. Oh, and I’ll visit the Sanduki Pinnacle too, and try to find out its real name, and whether or not we’ll be allowed to climb it!